Those among us, who choose to meet the world with optimism, have always viewed the internet as an evolutionary agent of change. Indeed, the world-wide web is… arguably one of humanity's most ingenious and ambitious creations to date. It is nothing less than a vast working model of global consciousness. Each human with the means (computer, tablet, mobile, etc.) to connect to the web becomes, in a sense, a single, autonomous neuron in the mind of Gaia. Given the incredible creative potential each individual earthling brings to this system, the possibilities for our global consciousness are seemingly infinite. As this global nerve-net becomes more complex and sophisticated, our evolving technologies have accelerated in their sophistication and complexity. Within the new political paradigm, these new technologies can be seen as a “great equalizer” …a tool in the hands of the proletariat. The “New Hope” of powerful digital applications, the promise of peer to peer networking and the advent of “open source” software has been cause for great optimism. Perhaps the most encouraging development for all freedom loving individuals, across the planet, has been the rise of the digital alternative to nationally monopolized “Fiat Money” …the open sourced, peer to peer electronic payment system known as Bitcoin. Arguably, Bitcoin acts as a decentralized virtual currency, free of governmental control. Taken collectively, instant access to information and commerce loosens the totalitarian grip of oppressive governments and multi-national corporations. These new technologies become powerful tools in the hands of tech-savvy activists and hacktivists world wide. However, the liberating possibilities of these new technologies, act as the proverbial “two-edged sword.” Powerful surveillance agencies, most notoriously the United State’s National Security Agency, ruthlessly turn these tools back upon the very citizenry who created and popularized them. These revelations, as continuingly published by investigative journalist Glenn Greenwald’s The Intercept, strongly indicate that the NSA will stop at nothing in order to achieve their goal of total global surveillance. This is not conspiracy theory… this is fact. Having been given free rein by then-president George W Bush, in the name of homeland security, the NSA keeps data-dossiers on every citizen in the US… possibly the world. Initially reported as confined to phone calls and e-mail, it is clear that all previously private information, especially the new-fangled “social media” is in the NSA’s sights, if not their clutches. The Minerva Initiative is a Department of Defense sponsored, university-based social science research initiative launched by (then) Secretary of Defense, Robert M. Gates, in 2008. The initiative took its name from the Roman goddess of wisdom and logos of arts, trade, and strategy. She was born from the godhead of Jupiter, bristling with weaponry. She is equated with the Greek goddess Athena. She was the virgin goddess of music, poetry, medicine, wisdom, commerce, weaving, crafts, and magic. She is often depicted with her sacred creature, an owl usually named as the "owl of Minerva", which symbolizes that she is connected to wisdom. 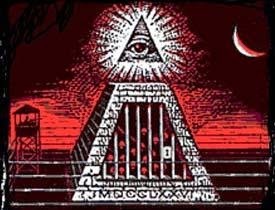 On a side note: According to John Robison's Proofs of a Conspiracy (1798), the third degree of the Bavarian Illuminati was called Minerval or Brother of Minerva, in honour of the goddess of learning. Later, this title was adopted for the first initiation of Aleister Crowley's OTO rituals. The Minerva Initiative focuses on areas of strategic importance to U.S. national security policy. Its objectives are to foster and improve the Defense Department’s social science intellectual capital in order to address future security challenges and to build bridges between the Department of Defense and the academic social science community. Minerva will do this by bringing together universities, research institutions, and individual scholars; and by supporting multidisciplinary and cross-institutional projects addressing specific topic areas determined by the Department. 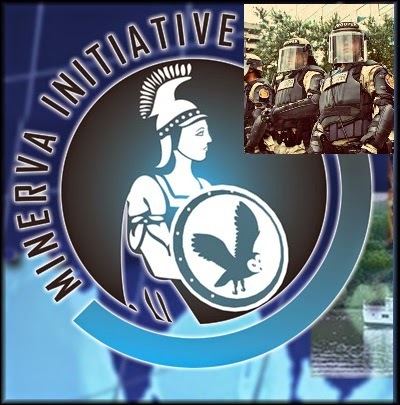 “The Minerva Initiative is funding universities to model the dynamics, risks and tipping points for large-scale civil unrest across the world, under the supervision of various US military agencies. The multi-million dollar program is designed to develop immediate and long-term "warfighter-relevant insights" for senior officials and decision makers in "the defense policy community," and to inform policy implemented by "combatant commands." Launched in 2008 – the year of the global banking crisis – the DoD 'Minerva Research Initiative' partners with universities "to improve DoD's basic understanding of the social, cultural, behavioral, and political forces that shape regions of the world of strategic importance to the US." Among the projects awarded for the period 2014-2017 is a Cornell University-led study managed by the US Air Force Office of Scientific Research which aims to develop an empirical model "of the dynamics of social movement mobilisation and contagions." The project will determine "the critical mass (tipping point)" of social contagians by studying their "digital traces" in the cases of "the 2011 Egyptian revolution, the 2011 Russian Duma elections, the 2012 Nigerian fuel subsidy crisis and the 2013 Gazi park protests in Turkey." Twitter posts and conversations will be examined "to identify individuals mobilized in a social contagion and when they become mobilized. "any attempt to centralize thinking about culture and terrorism under the Pentagon’s roof will inevitably produce an intellectually shrunken outcome....The Pentagon will have the false comfort of believing that it has harnessed the best and the brightest minds, when in fact it will have only received a very limited slice of what the ivory tower has to offer—academics who have no problem taking Pentagon funds. Social scientists call this “selection bias,” and it can lead to dangerous analytical errors." “According to Prof David Price, a cultural anthropologist at St Martin's University in Washington DC and author of Weaponizing Anthropology: Social Science in Service of the Militarized State, "when you looked at the individual bits of many of these projects they sort of looked like normal social science, textual analysis, historical research, and so on, but when you added these bits up they all shared themes of legibility with all the distortions of over-simplification. Minerva is farming out the piece-work of empire in ways that can allow individuals to disassociate their individual contributions from the larger project (read: plausible deniability)." Citing a summary critique of the program sent to HTS directors by a former employee, Price reported that the HTS training scenarios "adapted COIN [counterinsurgency] for Afghanistan/Iraq" to domestic situations "in the USA where the local population was seen from the military perspective as threatening the established balance of power and influence, and challenging law and order." The take-away from all this is the realization that the DoD, via the Minerva Initiative, is scrutinizing personal social media applications such as twitter and facebook, to identify potential radical elements within social media. This scrutiny is aimed at domestic targets… specifically grassroots movements. Minerva’s goal is to predetermine domestic threats to the status quo. The implication is that all social networked organizations are a potential terrorist risk, to be identified… before they act. It is exceedingly revealing that the Minerva Initiative uses the phrase “social contagions” to identify various fledgling social networked organization’s specific causes and/or mission statements. 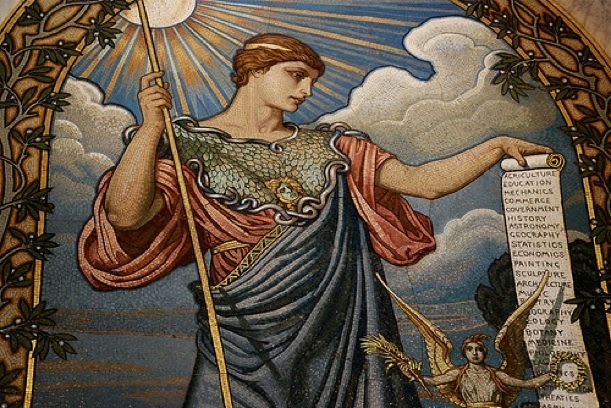 It is clear that Minerva views any grassroots ideals as a potential social pathogen… a contagious disease that needs to be ferreted out and eliminated. In other words… free thinking and free speech… or public articulation of those thoughts, are now seen as an existential threat to our government. In the end, the old, oppressive, top-down, fear based system of control of the many, by the oppressive few, is doomed to fail. Freedom of thought, freedom of expression is the very basis of creativity and social evolution. Government tends to put an “R” in front of the word evolution… and then proceed to demonize that which is necessarily so. 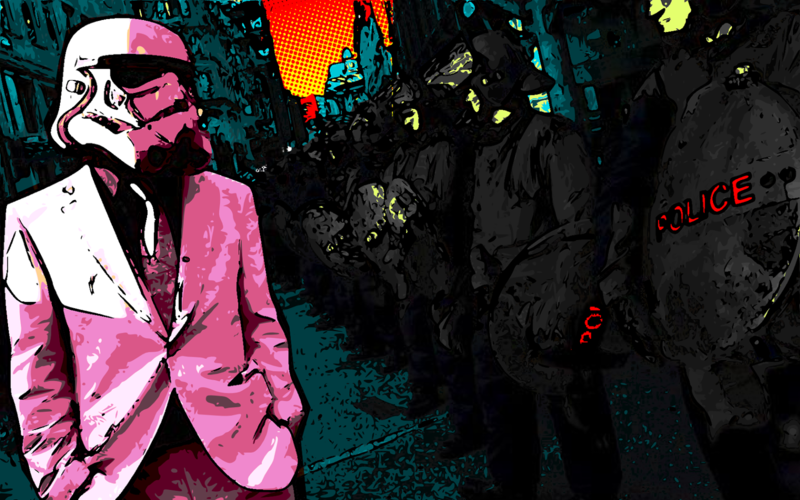 Government only sees the violent potential of revolution, but never sees the creative potential of evolution. And so it goes. Not to fear… evolution will prevail. The world will continue to evolve and be a place of miracle and wonder. How do I know this? Precisely because of those among us who choose to meet the world with optimism!